Dial casual dining up a level with our Saturday buffet specials. 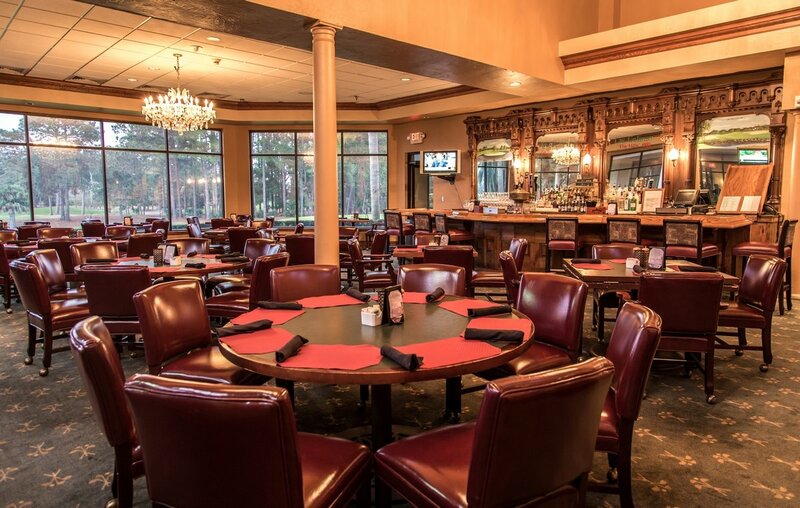 Located right next to the Pro Shop with spectacular golf course and lake views, Nicker’s lunchtime casual fare menu includes salads, sandwiches, and burgers. The restaurant has a fully stocked bar and several big screen televisions for watching the game. Dinner is also served in El Conquistador and La Margarita. Call (352) 324-2718 for reservations at Nicker’s Clubhouse Restaurant. Saturday Night’s All You Can Eat Sushi, Crab Legs & Prime Rib Buffet features an impressive array of delicious entrees, bountiful sides, and decadent desserts. Executive Chef Billy Connolly invites guests to enjoy prime rib, signature pasta dishes, crab legs with drawn butter, fresh peel and eat shrimp, sushi delights made with the highest quality tuna and salmon, and so much more.